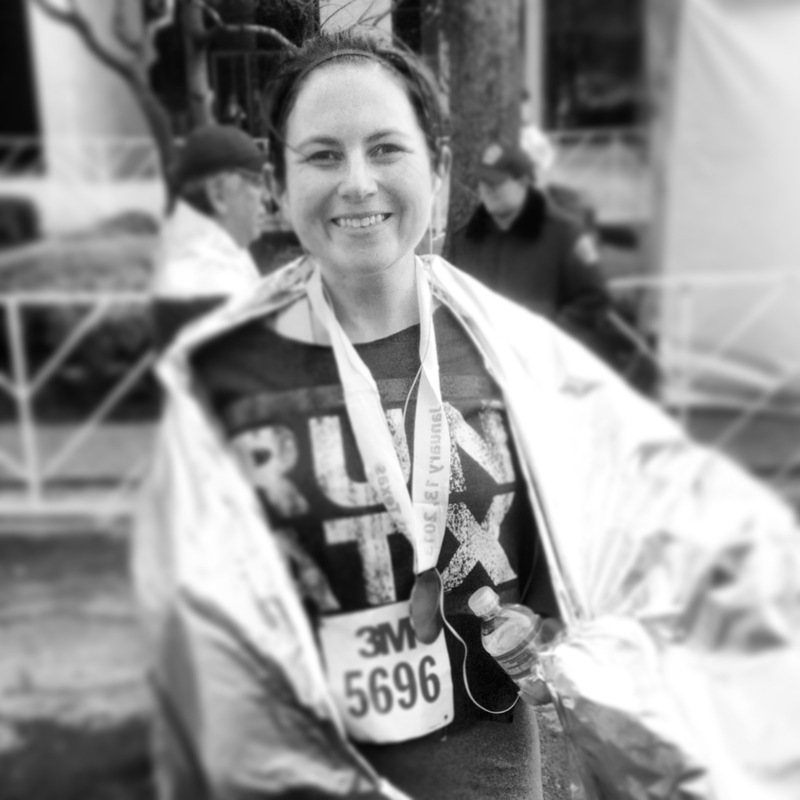 My adventure this week was a very cold, very challenging half marathon. I’ve run other halfs before, but never when the starting temps were below freezing and when I was recovering from a 12-week bout with the Whooping Cough. The original idea was to run a half in my town. I’m not much of a runner in the everyday sense of the word. The road doesn’t call to me. I never feel the desire to lace up my shoes and go for a run. Honestly, I only took up running as part of my weight loss journey. But I do love organized runs. I like being in the group at the starting corrals as everyone stretches, sets their watches, etc. I love the sound of my feet and hundreds (or even thousands) of others hitting the pavement. 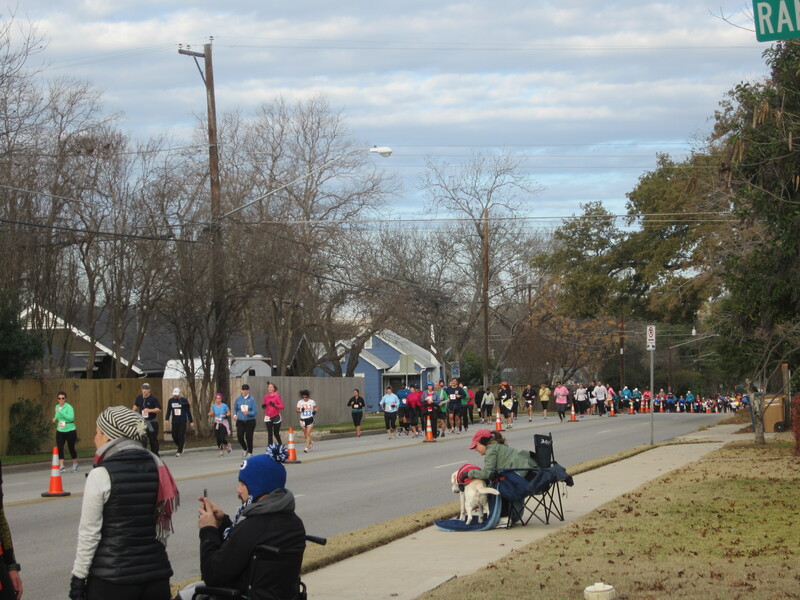 I love to read people’s t-shirts and to see crowds cheering on the runners. 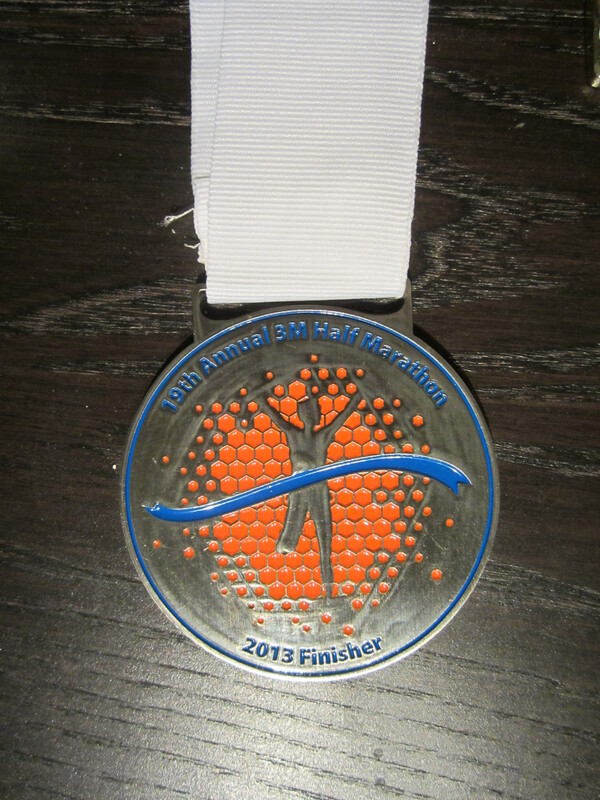 Mostly though, I love the finisher’s medal. Something tangible that says I just ran 13.1 miles. 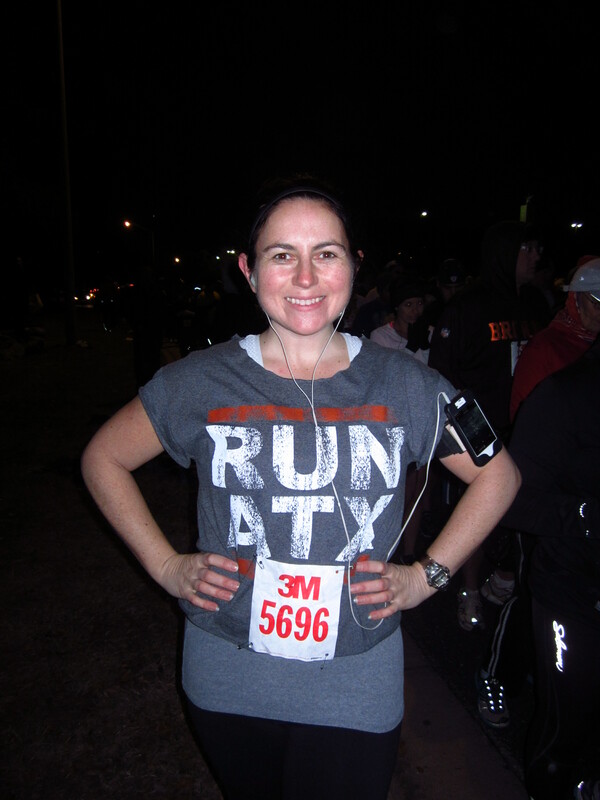 So this last weekend I ran the Austin 3M Half Marathon. It was a cold start – 26 degrees with the wind chill. My fingers and nose may never forgive me for the pain of that first mile as my body heated up from the workout. Just over 6,000 other people had the same idea I did. Once I got running though, I felt far worse for the spectators. They had to be freezing. At least I had my body heat to keep me warm. I was very out of shape but I finished in a decent time and I felt good about getting my year off to a healthy start. I can add it to the others I’ve already collected and those still to come as a reminder that every step is a step toward my health and happiness. I am accident prone. And not just a little. I am constantly covered in scrapes, cuts and bruises. As such, I tend to avoid those sports (anything but running really) that might lead to some new injury. Consequently, I’ve always shied away from ice skating but in honor the new year, and new adventures, I decided to give it a try. I donned my skates and scooted around the rink (basically gripping the wall the entire time) but had a blast. My husband came with me and while he is a good skater, he humored me and stayed by my side until I’d had enough. After I had my fill, he zipped around a few more times and then bought me a hot chocolate. I won’t be a proficient skater anytime soon but I did enjoy the experience and may try it again next year. Wasting no time getting started with a new year of adventure, and embracing my new-found spontaneity, I saw a post about Austin’s Polar Bear Plunge on January 1st so I decided to make it my first “plunge” into this new year. Sorry for the pun, terrible I know, but I couldn’t resist. At 10:00 in the morning I threw on a bathing suit and headed to the local swimming hole. A swimming hole is the best description. Barton Springs Pool is a man-made pool that exists as a channel of Barton Creek and is filled by water from the Barton Spring. The water maintains an even temperature throughout the year so while it was chilly when I first jumped in, it warmed up after a few laps. And, I certainly wasn’t the only person to usher in the new year this way. About 100 other brave sould joined me. I would definitely make this a yearly tradition, and maybe some year I’ll even take the plunge in a cooler climate. I hope you all had an equally fun start to the new year! Ah, this reminds me of my first adventure! Congrats on doing it – nothing like a near ice bath to jump start the new year!